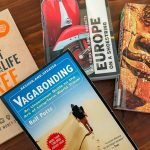 As our big international trip gets closer I have been lamenting my lack of Australian travel knowledge. I can’t do much about getting to Uluru or the Great Barrier Reef, but for the second time this month we’ve jumped into the car to visit a part of South Australia that I hadn’t been to since I was a kid. Here’s how we got to Wilpena Pound, the long way. 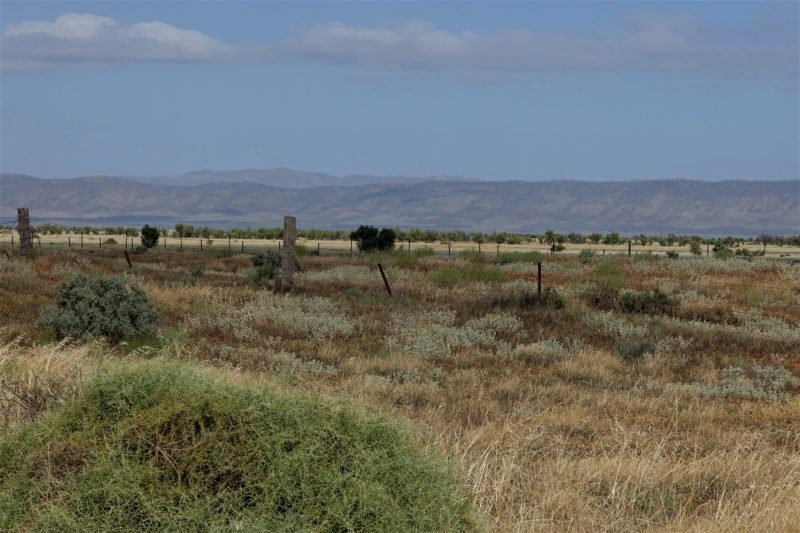 The Flinders Ranges start around 200km north of Adelaide near Port Pirie and then run for over 400km to the north. 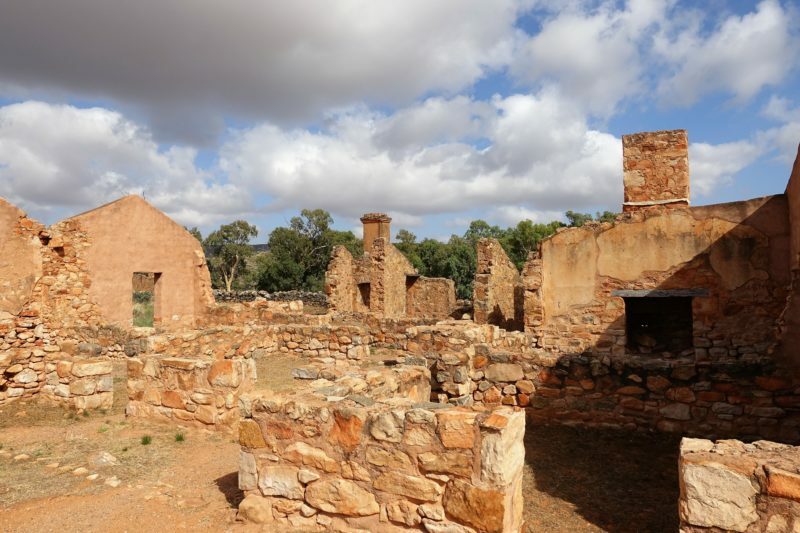 They incorporate two national parks, the Ikara-Flinders Ranges National Park and the Mount Remarkable National Park. On this trip we visited both of them. 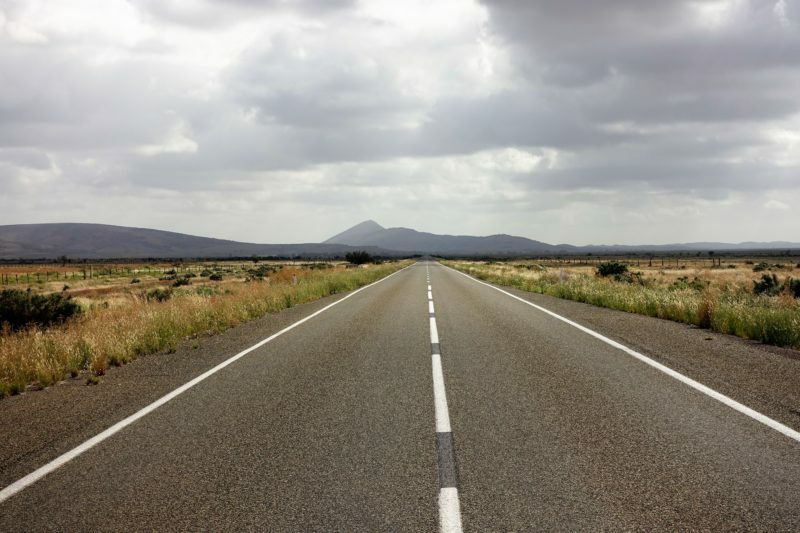 Our final destination is in the Ikara-Flinders Ranges National Park and it is about five hours driving from Adelaide. 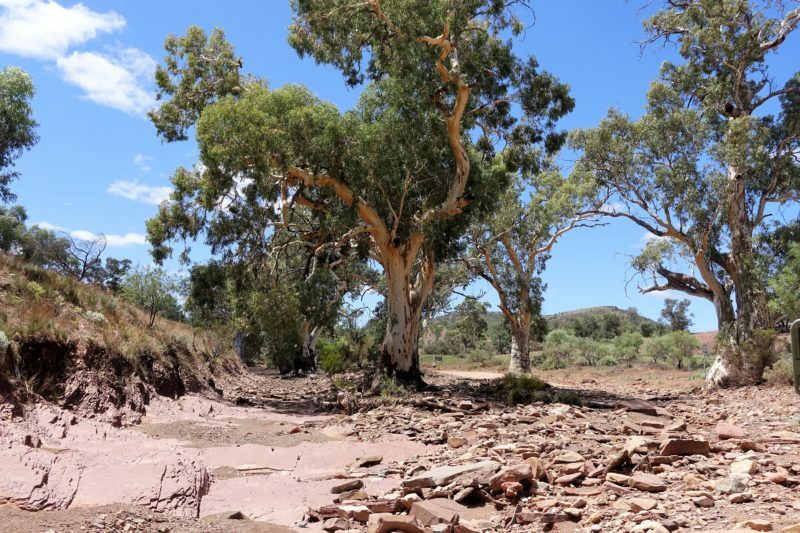 Luckily, my parents live in between, so our plan was to stay at their place on night’s one and three, and on the night in between camp in the campgrounds of the Wilpena Pound Resort. This time our travelling crew consisted of my husband Simon, daughter MacKenzie and I. 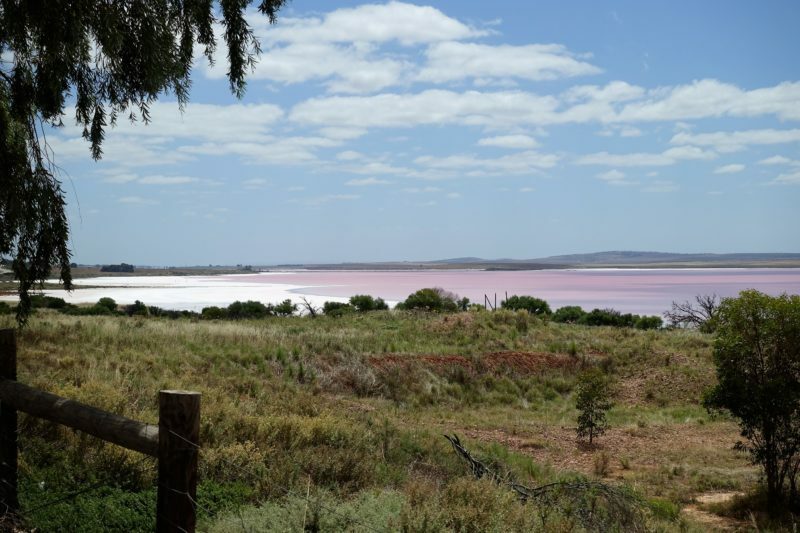 The salt lake at Lochiel had a really pink hue. We had plenty of time to make our way to my parents house, usually a drive of three and a half hours. We stopped in at a few of the small towns long the way. Snowtown was one of those places. 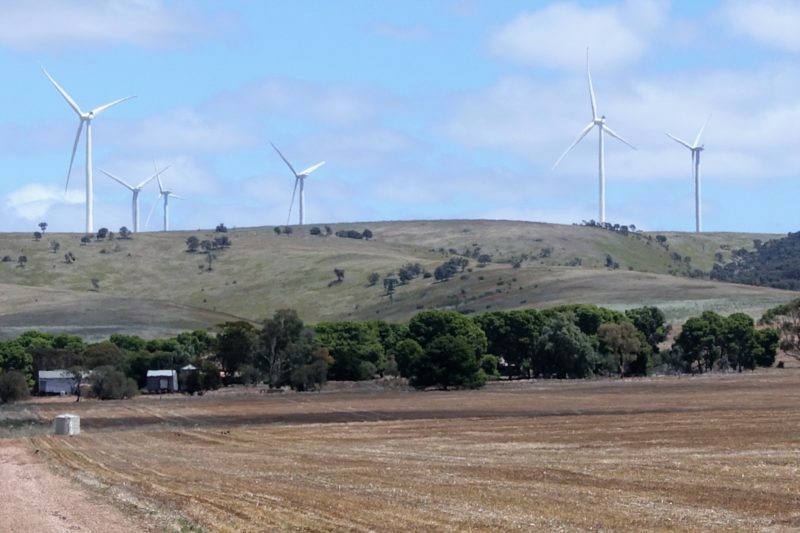 It’s about 150 km north of Adelaide with a population of around 400 people, typical small town Australia. 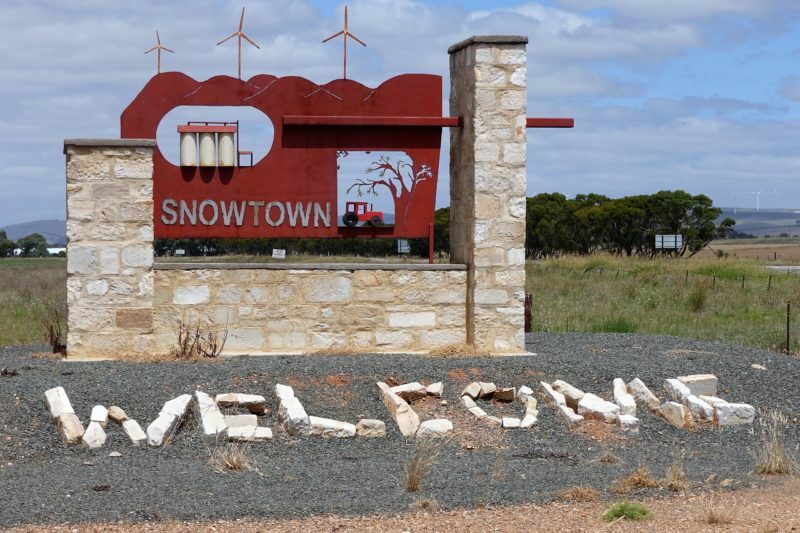 If you are thinking the name Snowtown sounds vaguely familiar, then you are probably right. Snowtown has the dubious claim to fame of being a central location in the Bodies in the Barrels murders in 1999. The bodies of the murder victims were found in barrels in an old bank vault there. The unfortunate part for Snowtown is that none of the murders were committed there, and none of the victims or perpetrators were locals, yet it’s reputation has been forever tainted. The movie that was made about the murders was even titled simply “Snowtown”. I’ve noticed more than ever on this trip that small towns are vying madly for the tourism dollar. Anything to get visitors to pull off the highway and come into town to buy a snack or coffee is a good thing. In Snowtown though you will not find a single mention of their gruesome past. It is clearly still too soon. What you will see is The Big Blade. 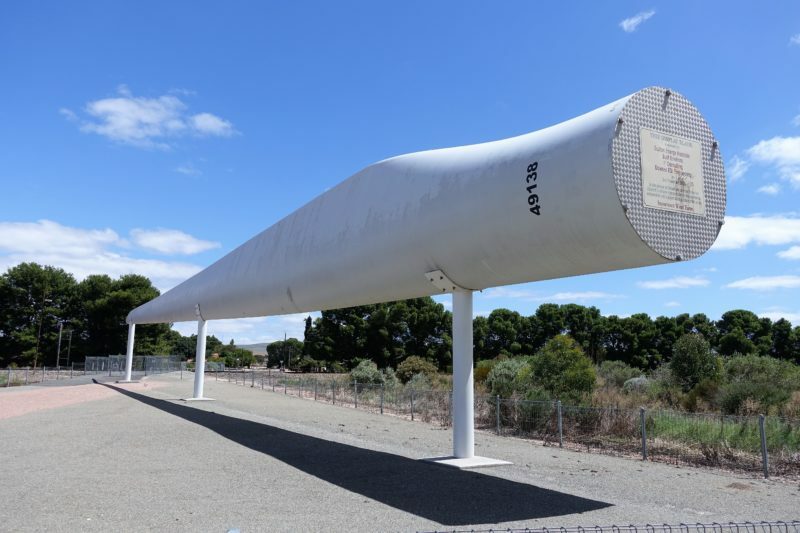 This is a full size blade from one of the windmills at the nearby wind farm. There is an informative display describing the process and industry. The public facilities in Snowtown were clean, and the coffee was good. It’s a good little stopping point on a trip north to revive and stretch your legs. Perhaps don’t ask about the murders, but do help out this small town with a reputation by grabbing that snack as you go past. Sitting at my parents place after dinner I went online to pay the National Park fees in anticipation of our visit the following day. A big flashing notice got my attention – the National Park was closed the next day! Now this was going to put a bit of a dent in my plans! Previously I had looked at the site and discovered many of the longer buskwalks were closed (from November to February) due to the summer heat. While this had been disappointing as I would liked to have done a hike to St Mary’s Peak (the highest point in the Flinders Ranges) it also made sense. It’s a nine hour return trip, and the heat can be dangerously high in this area. We had been lucky to have temperatures in the low twenties (Celsius) so I had hoped to do one hike the first afternoon and a second the next morning. 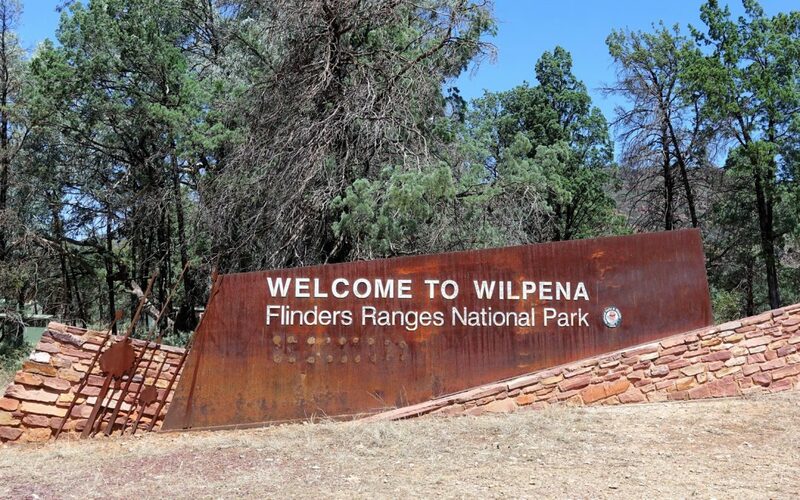 Instead, after discussion with my dad, we decided to drive to Wilpena the long way round. The town of Quorn was our first stop. We jumped out and had a walk around, noticing four pubs within a few hundred metres of each other! 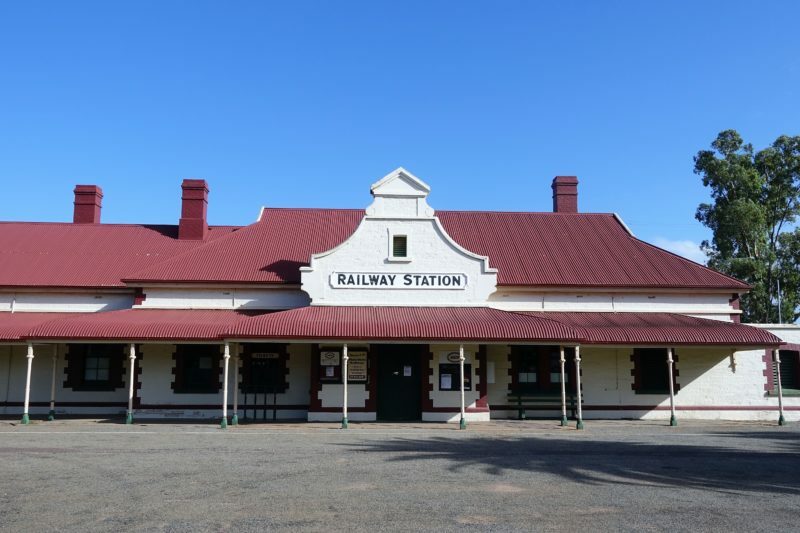 When we initially decided to come up to the Flinders Ranges one of the things I really wanted to do was a short train trip on the Pichi Richi Railway. Unfortunately our timing was again off. 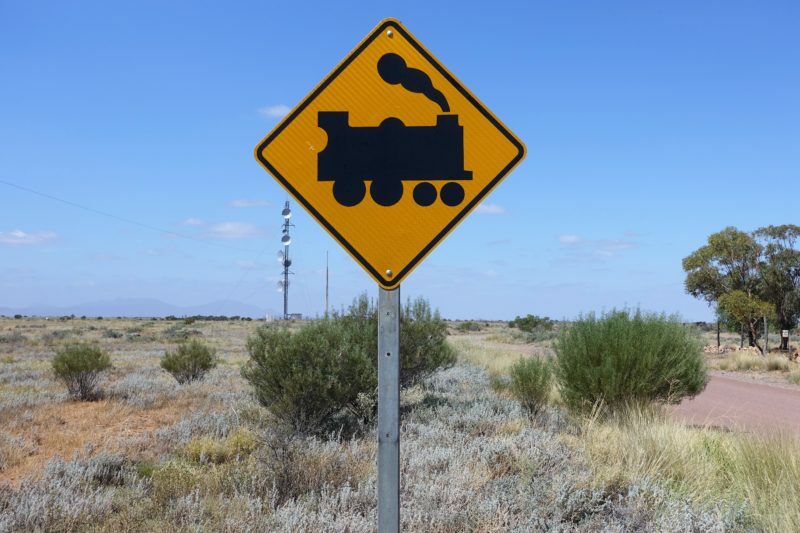 During the summer fire danger season the steam train does not run. There are other days towards each end of the season where it runs with the proviso that if the fire danger is high, a diesel engine will pull the train. 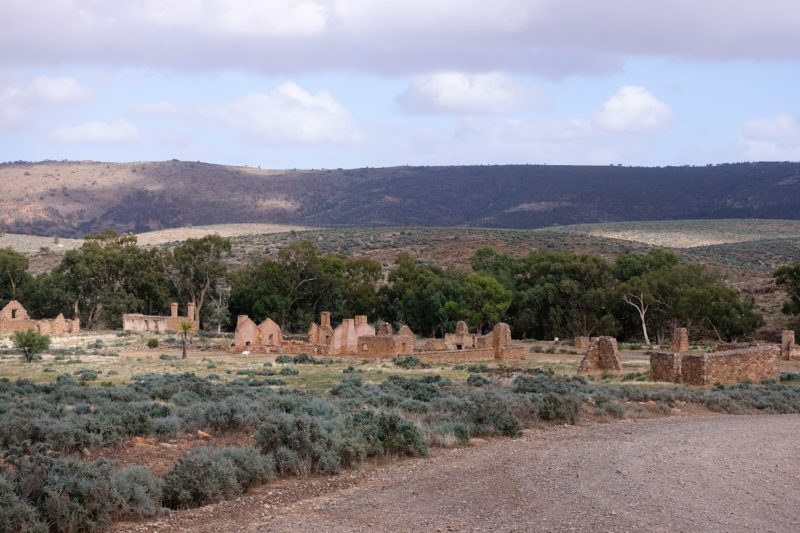 Another 40 kilometres down the road towards Hawker are the ruins of the Kanyaka Homestead. This station was originally home to about 70 families so there are quite a few buildings around as well as a cemetery. The original founder was Hugh Proby who died when he was thrown from his horse quite a distance from the settlement. He was buried where he died, and we did turn off onto the dirt track to find his grave. We went along the track for a while, but didn’t see the grave, and returned to the main road. My Dad later informed me it was about 20 kilometres along the track, so no wonder we didn’t find it. We didn’t even get close to going that far. We passed by Hawker, thinking we would call in there on the way home, and continued for another 90 kilometres to Parachilna. 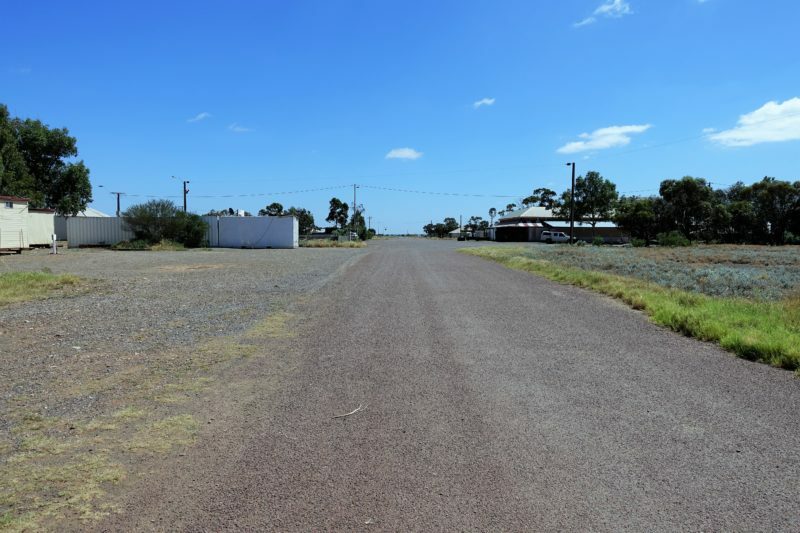 The landscape had turned from farming country to outback, with red dirt and saltbush either side of the road. In the distance we could see the stunning Flinders Ranges, and with these views the drive passed quickly. I don’t know what I was expecting in Parachilna, but, well, there’s nothing! Trains no longer come through this old railway town. There is a great looking pub, the Prairie Hotel, that is known for it’s “Flinders Feral Food“. It dishes up many of our native animals and plants, but – surprise, surprise – it was shut for the summer! We were five days too early to test out some emu pate or feral goat cheese! 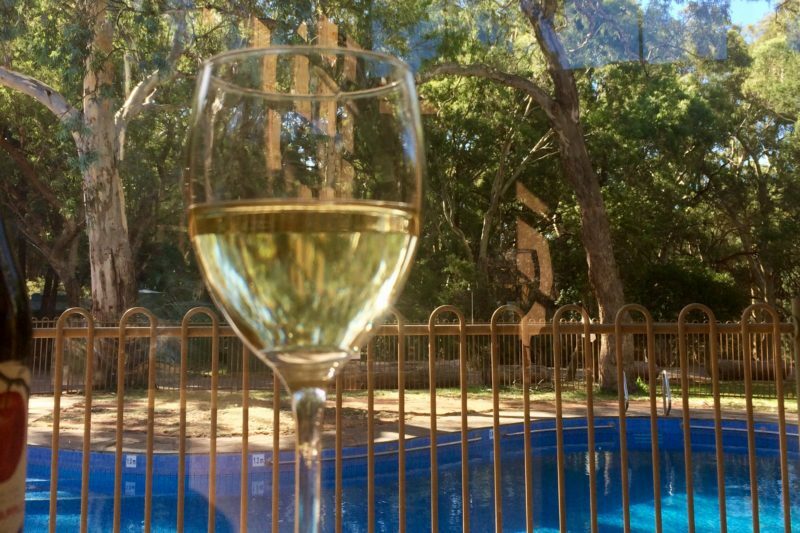 This is another great place to stay if you are exploring the Flinders Ranges. Trains in Parachilna? Not anymore. We weren’t relying on the pub for food though, we had packed our own lunch and we planned to stop at the Parachilna Gorge and enjoy it. We were starting to get remote now. There was no phone coverage and we were driving on dirt roads, so I was navigating the old fashioned way with a paper map. And so we drove straight through the gorge without even realising it! In hindsight I realised we had actually stopped, as there were a couple of emus making their way over the creek bed, and we watched them for a few minutes. I was expecting a parking bay, or sign, or lookout, or, well, something that marked the gorge! Instead we completed the dusty drive to Blinman before stopping for lunch. 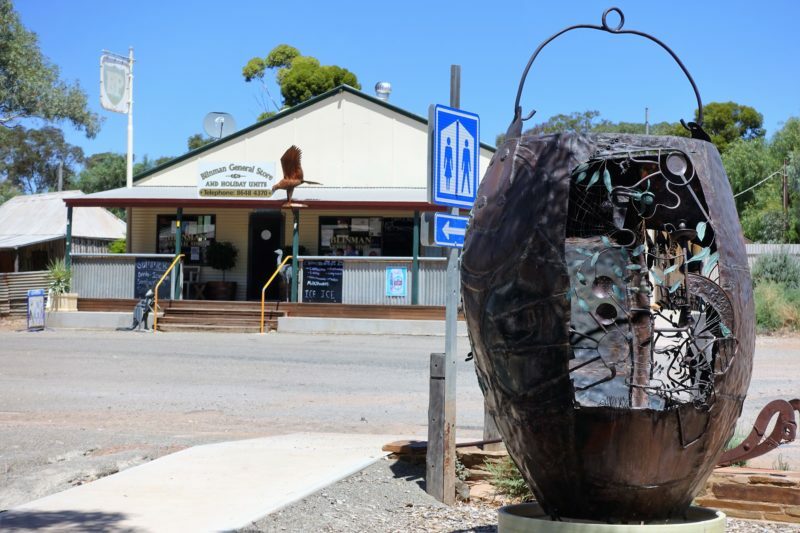 Blinman is another tiny outback town, much like Parachilna, but oh so different! It was historically a mining town, but no longer. It currently has a population of 12 (it was 14 until a couple of weeks ago), and is in the process of making itself very tourist friendly. This is no old and rotting town, instead it is neat and inviting. There were two great spots in town to stop for a picnic lunch with new, modern facilities. A tour to see one of the old mines is available as are scenic flights and activities on nearby properties. 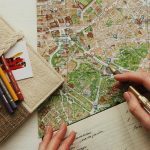 Have a look at their website to see the accommodation options and services. 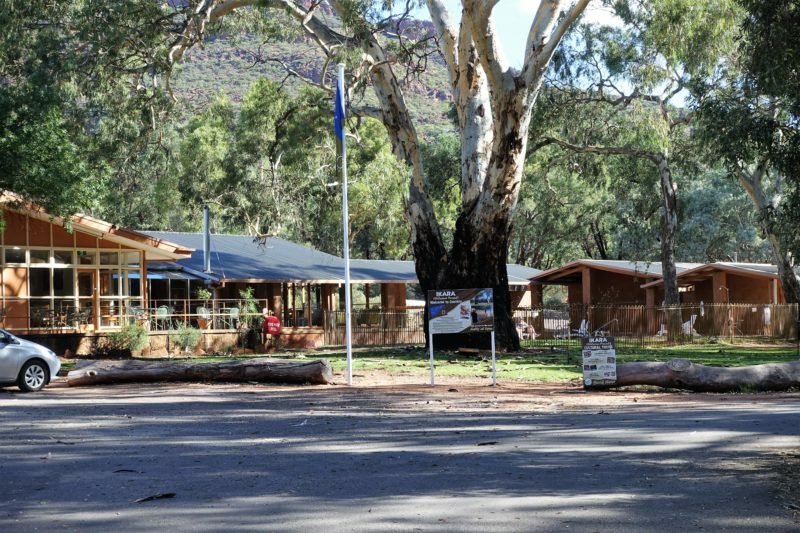 The final stretch of our drive was to take us into the Wilpena Pound Resort. 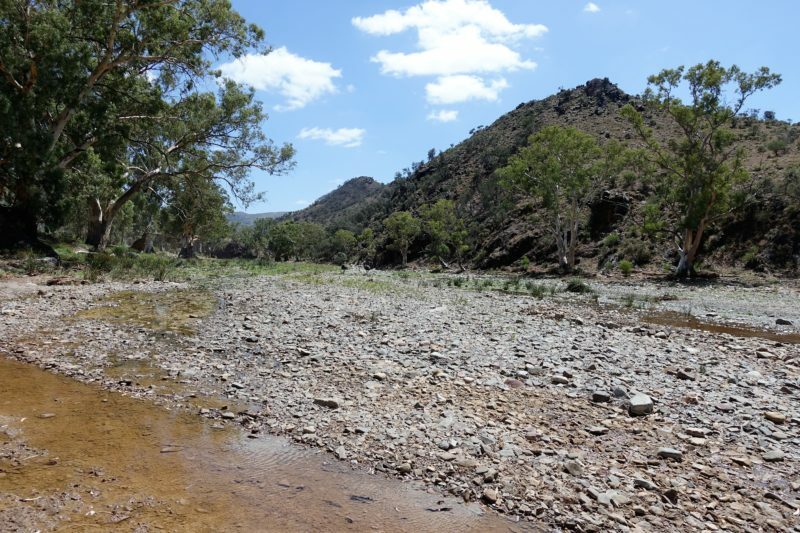 Wilpena Pound is the most well known section of the Flinders Ranges. 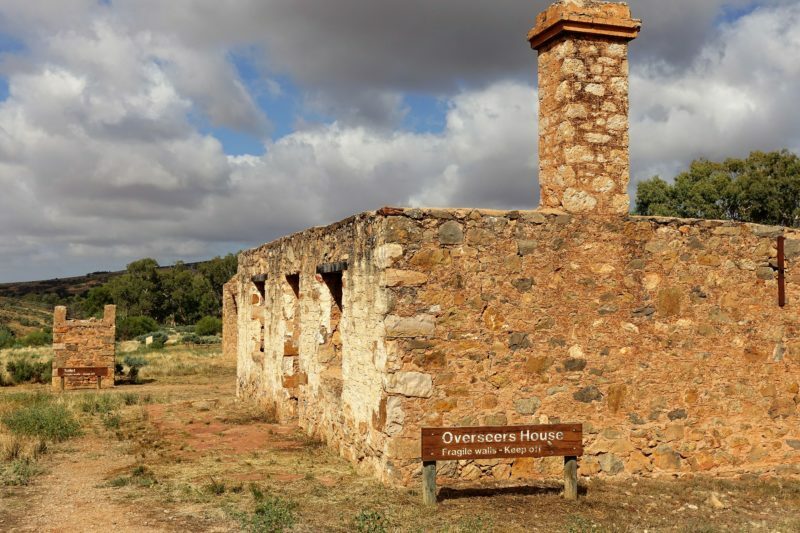 It’s a horseshoe shaped part of the ranges, and is a great area for bushwalking, rock climbing and just generally enjoying nature. Again we spent most of the drive gawking at the stunning scenery on both sides of the car. There is just something special about this sparse ancient landscape. There is a geological drive going through the Brachina Gorge with signage showing off the layers of the landscape, some of them up to 630 million years old. 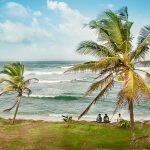 The resort offers various accommodation options due to it’s remote location. It is possible to stay here in resort style rooms or safari tents for a more luxurious getaway. They also offer motel rooms, powered and unpowered sites. The resort facilities such as pool, bar and restaurant are available to all guests. Along with the general store, these are the only food options. The general store also sells fuel, maps and other useful items. We had taken our tent, and once set up we went for a walk around the park checking out the various parts. It really is a bush camp under the trees, so it has lots of space. 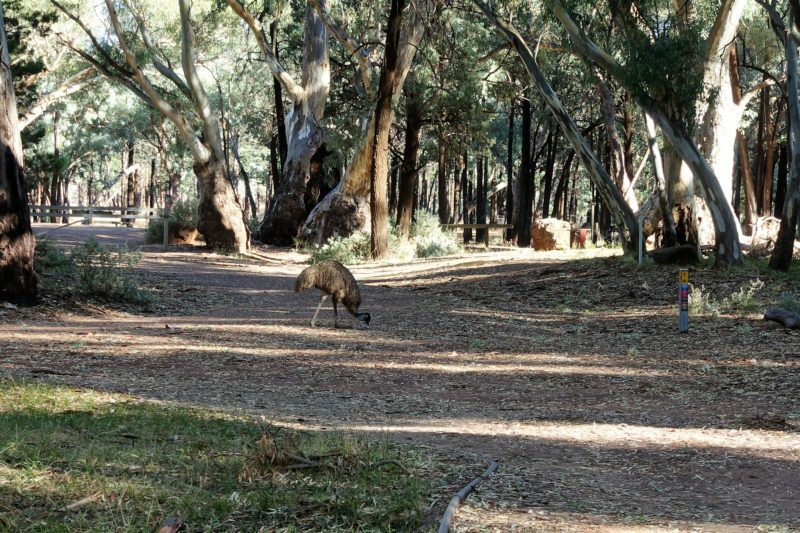 We saw both kangaroos and emus wandering through, and the trees were full of noisy birds of all kinds. Simon really wasn’t a fan of the huge golden orb spiders that hung between the trees. These harmless spiders are about 10cm in length and so can produce webs that can be metres across. We discussed taking a dip in the pool, but it really wasn’t hot enough for us, so instead we made our way to the bar/bistro for happy hour, and enjoyed a nice glass of wine then dinner while watching others swim in the pool. It wasn’t long before a group of kangaroos came and nibbled on the lawn. We all had a giggle as one used the sprinkler for a drink. 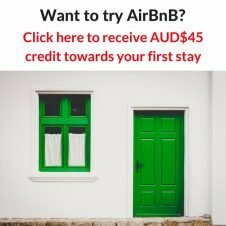 We were now comfortably ensconced in our destination, ready for what was to come next – the bushwalking. 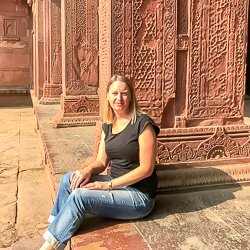 That will be the subject of my next post – click on the link on the right below to read on. There’s something about small Australian towns, isn’t there? I drove through quite a few recently on the way to Melbourne from Newcastle and really wished we could have stayed longer (damn that schedule that we have to adhere to). There’s nothing like exploring your own state. 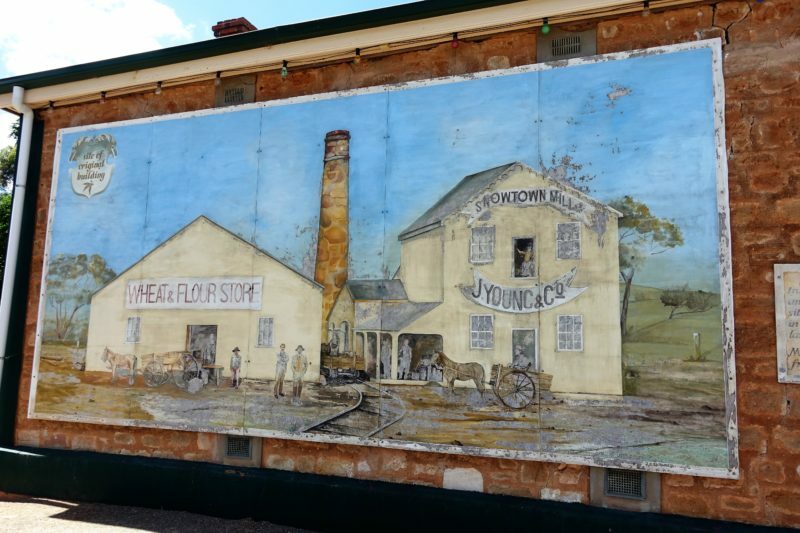 And I did see the Snowtown movie – had no idea it had little to do with the town itself! A gruesome murder took place in the town I went to high school in, Aberdeen in NSW. I’m sure it feels similar to Snowtown in that it is yet to cash in on its gruesome recent history. Thanks LC. I had to google the murder in Aberdeen since I couldn’t remember it (how I had forgotten I don’t know, so gruesome! ), and I see they are making a movie about that too! I really didn’t enjoy hearing about it when I was a wee nipper! 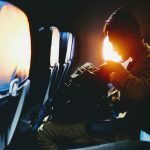 That doesn’t surprise me… it’s too good of a story not to! Wonder how the residents feel about it.